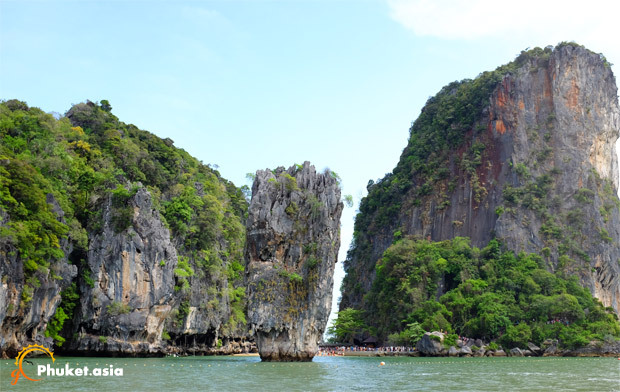 The James Bond Island, the most distinctive feature of the famous bay of Kao Ping Kan Island is its range of limestone cliffs jutting out vertically of the emerald green waters. 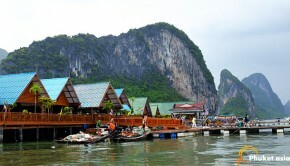 It is one of the most famous landmarks in Phang Nga Bay. 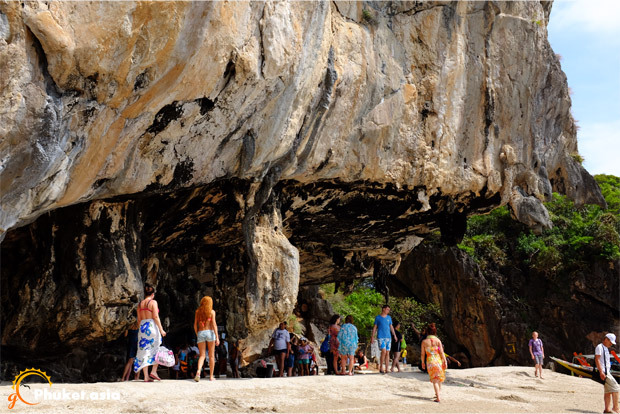 The first time it made way into the international map for the tourists is its role in the Bond Movie, The Man with the Golden Gun. 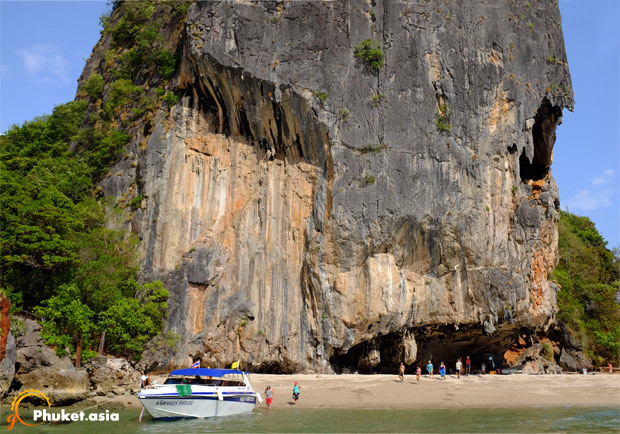 To get the best view of James Bond Island, you have to land in Kao Ping Kan Island, a much bigger island than the Bond Island. If you come onboard the island from the beach, this island looks like a demon from this angle. 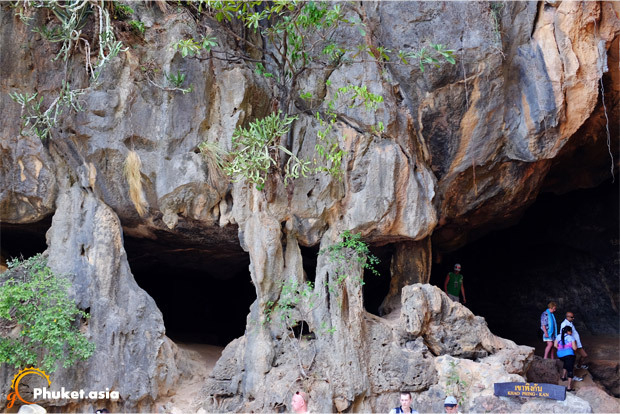 The rock cave found in the Kao Ping Kan Island is made up entirely of limestone rock that goes over 20 meters or 66 feet in height. 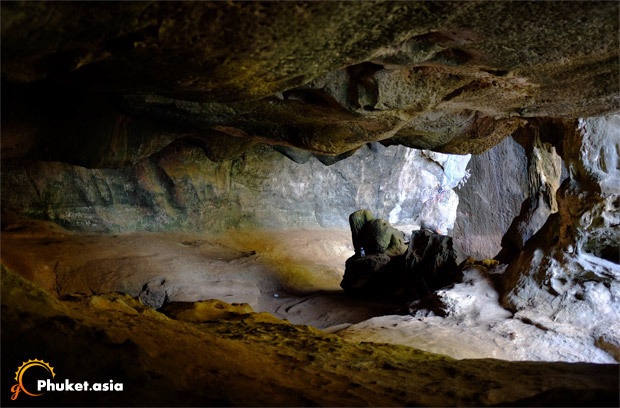 It is one of the wonders here that attracts a large number of visitors from different parts of the world. 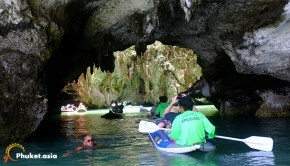 There are other caves as well on the island along with a sandy beach. 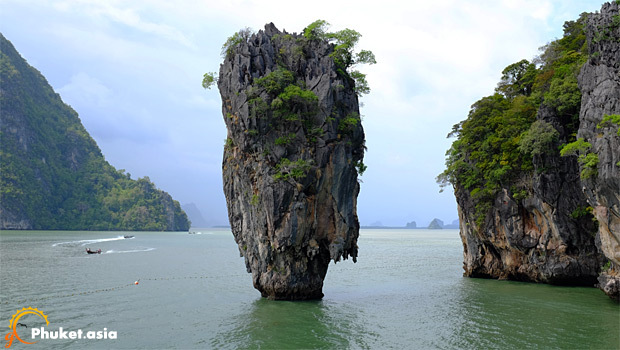 The tour orgazined to James Bond Island always come combined with visits to the other islands that are popular in the Phang Nga Bay area. Don't subscribe All Replies to my comments Notify me of followup comments via e-mail. You can also <a href='http://www.gophuket.asia/comment-subscriptions?srp=1543&srk=460b2a19ca338a9cc1a84e57d7205774&sra=s'>subscribe</a> without commenting.